I am seeing a lot of posts about “being aware of veterans around you during the 4th of July.” I agree that if you are aware of a veteran with PTSD in your vicinity, you should NOT aggravate them by shooting off illegal fireworks. Well, you shouldn’t be using illegal fireworks anyway! However, the reality is that only 1% of people in the U.S. are in the military. The country is not going to stop fireworks displays for 1%. Nor should they. Independence Day is a BIG day for our country and has been traditionally celebrated for centuries. The Star Spangled Banner was written while watching a battle “The rockets’ red glare, the bombs bursting in air…” The celebrations of Independence Day will continue. Unfortunately, the jerks in the neighborhood that shoot off illegal airborne fireworks will also continue, sigh. I remember that first Independence Day after my son had come back from deployment. We were on vacation at my in-laws and someone set off an airborne firework. Oh MY, I had never seen him move so fast. He was in duck and cover mode. He said the sound reminded him of an RPG. Well! My mother-in-law marched herself over to the neighbors, told them the situation, and asked them to stop. I had thought – people drinking and being obnoxious… this is gonna become a major problem. I was surprised that they stopped. We were lucky, not all people will be that accommodating. My purpose for writing today, is that, I think the key is not in asking people to stop putting off fireworks, (although they should be considerate of combat veterans in the neighborhood) but in the veteran, and their family having a plan for the day. 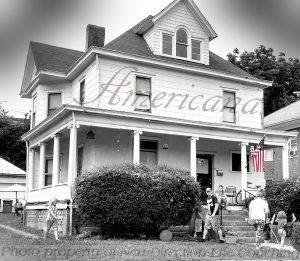 • Celebrate with parades and fun town activities, but watch “A Capitol Fourth” on your big screen TV, for the fireworks. • Hang out near an easy exit. • If things get too intense call for help! The Veterans Crisis Line is 1800-273-8255 x 1. It’s almost July 4th. Be prepared and be safe! « What is your JOY level?